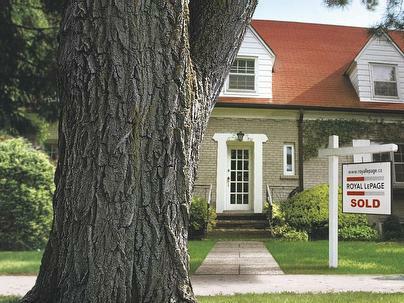 As a Muskoka Realtor before I can sell your home for you or help you purchase one, I have to sell you on me! Here are my top 10 reasons why you should “buy” my services and have an awesome real estate experience. Neighbourhood Knowledge. I know my area well. I not only list and sell in the Bracebridge area I live here and have for many years. I know about the Muskoka communities and if I do not have a specific answer for you, I know who to ask. Professional Networking. I have a great network of other Realtors, Lawyers, Home Inspectors and Mortgage Lenders who I can call upon to help me assist you. Handle ALL the Paperwork. In the 1970’s you could buy or sell a property using a one page document but today with all the Federal, Provincial and Regulatory paperwork required you will need to deal with several sets of multi-page documents to achieve a successful sale or purchase. From FINTRAC (Financial Transactions and Reports Analysis Centre of Canada – Money Laundering – Terrorist financing) to SPIS (Seller Property Information Statements – Disclosure Documents) I can and will guide you through it all and make sure you understand what you are signing before you sign it! Market Conditions. Real estate markets are often in a state of flux. While there can be periods of stability that can change quiet suddenly. A loss of jobs in a community can make a large difference and turn a sellers’ market into a buyers’ one in just a few days. It is my job to be alert to these changes and advise you accordingly. Price Guidance. Contrary to popular belief, it is not my job to tell you what price to list your property for or what to offer on the one you want to buy. However it is my job to provide you with some actual market data to draw conclusions about CURRENT market values and give you my insights based on my experience. That way you can make an informed decision. Be Your Buffer. As your representative it is my job to filter out all the spam! When I list your property, I will not be the only one showing it, so I will prepare your listing with all the details, documents, and information a potential buyer needs so they can make a decision easily and without waiting for answers. When you are buying I will methodically determine exactly what type of property you like and then only take you to properties with a high probability of meeting your criteria. Negotiation Skills. Whether you are buying or selling it is almost impossible to keep your emotions out of the mix. I am your “cool calm and collected” negotiator. I will stand between you and your equally emotional counterpart and negotiate for you the best price and terms possible. Go To Girl. Once you have an accepted offer I am not going to disappear from the picture. I will continue to be standing beside you answering your questions. When you have general questions and don’t want to bother your lawyer or mortgage broker, call me. When you want to know where to buy a fridge or hire a great plumber or contractor call me. I will be happy to help. Realtor for Life. This one may sound a bit cliché but I really do want to earn that title. Many of my past clients call me for a re-evaluation of a home or cottage that I assisted them with years ago. They do not intend to sell but simply want to manage their assets and need to know. I am happy to offer this service to them. I am often asked to assist family or friends of my past clients in Muskoka with buying or selling; or to find a Realtor for them in another community that will give them the same level of service they enjoyed with me. I work hard to earn this level of loyalty from my clients as I do sincerely love my profession and want to be your Muskoka Realtor for life!